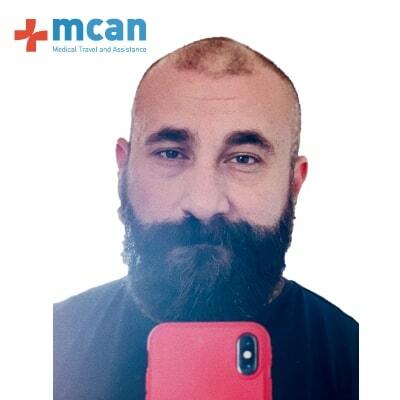 Hair Transplant has been applied over 10.000 satisfied patients by MCAN Health’s contracted doctors in Istanbul, Turkey. 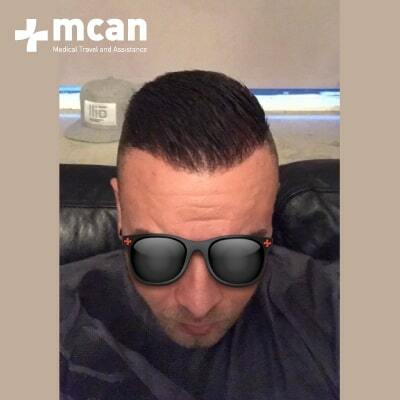 MCAN Health’s experienced medical team has been performing hair transplant for more than 10 years. We understand our patients and their concerns well, that is why we treat each and every patient in a unique way. We use different methods such as FUE, DHI and Sapphire Percutaneous, depending on the needs of our patient. 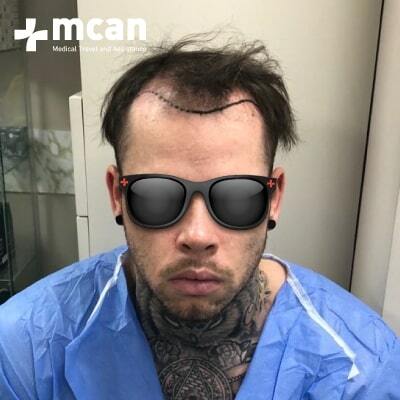 Hair Transplantation is an outpatient surgical treatment in which hair is transplanted from one part of the scalp, the donor site, to another part of the scalp, the recipient site. In other words, it is a process of Hair Redistribution. Usually, the donor site is located on the back of the head, between the two ears. 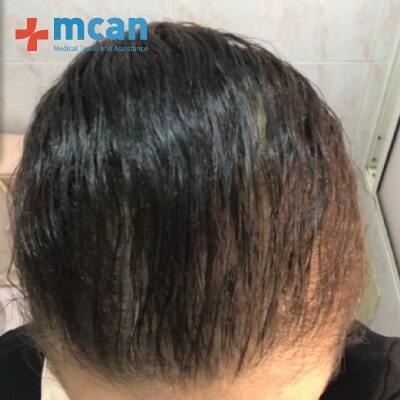 The recipient site is that part where the scalp is bald or where the hairline is receding, the areas that have thinning hair. The hair at the donor site at the back of the head is immune to DHT hormone that causes hair loss. That is why the hair transplanted from that spot will never fall out again. For your treatment, our case managers will ask pictures of your head and will ask a few questions related to your medical status. 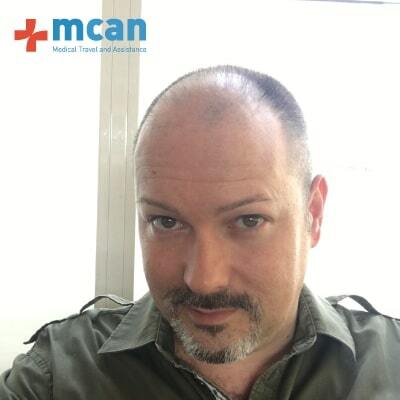 The doctor will provide your personal treatment plan based on the head pictures and your medical status. You will receive your hair transplant treatment plan and our all-inclusive package offer. You book the date of your hair transplant and we will arrange each and every detail for you. For everything else, see the video above. 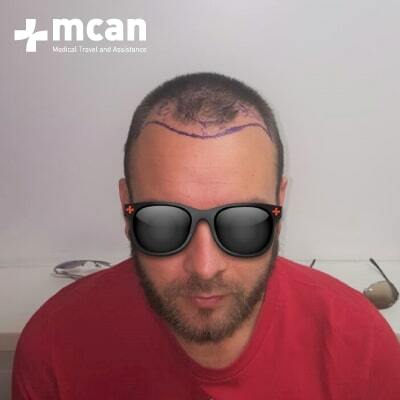 All you need is to spend 3 days for hair transplant in Istanbul with MCAN Health. You will stay 2 nights, 3 days and leave with hair. You can go back to work after 3 days if your work does not involve physical activity. 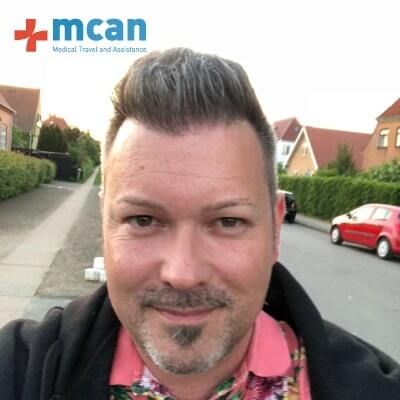 The shortness of the healing period, the painless procedure, the affordable costs are just some of the reasons why hair transplantation is becoming more popular among men. 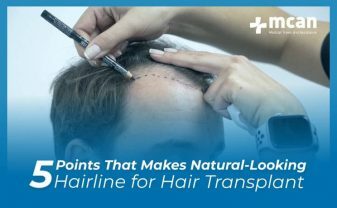 The cost of Hair Transplant in the United Kingdom, in the United States or in Europe starts from € 10,000 and in some countries, there is a long waiting period for the treatment. 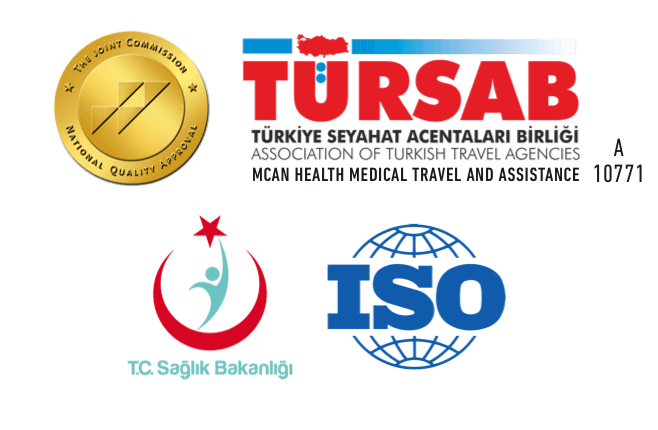 Prices for Hair Transplant Turkey start from €1499 at the trustable and accredited healthcare providers. The cost of hair transplant depends on various factors. Contact us now and get detailed information about your treatment. Packages that come in different types including accommodation, airport and internal transfers, patient host, flight ticket and city tour. 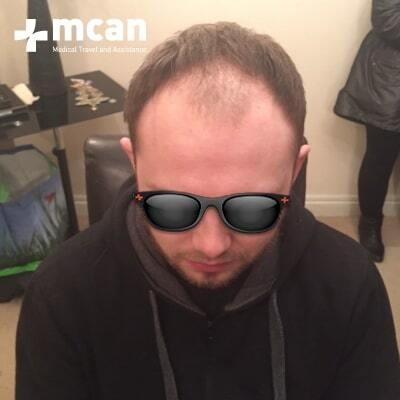 You will get a safe, hygienic and the best hair transplant in MCAN Clinic by the experienced medical team. 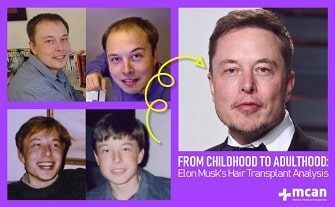 Swipe left and right to see hair transplant results. 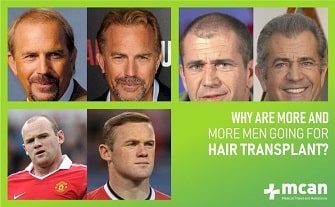 Hair loss is a natural condition that can affect everyone in certain periods of life regardless of gender or age. It can have many causes such as stress, hormonal disorders, it can be genetic, seasonal, diet-related or caused by the use of certain medicines. Some of hair loss types are permanent, some can be temporary. Our first principle is to understand your type of hair loss. If it seems to be temporary, we prefer to wait and watch the hair loss progress. But if it is really necessary, we have the best solution for hair loss. The most important factor for a hair transplant is a correct diagnosis in which both the present and the future reason for the hair loss should be understood perfectly. 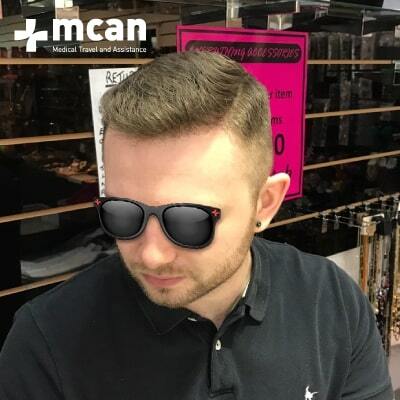 To see if you are a good candidate for hair transplant, please read our article to get more information: 5 Things That Makes You The Perfect Hair Transplant Candidate. We offer a safe out-patient treatment with the latest technologies. Carried out under local anesthesia, it takes 6 to 8 hours. The procedure is pain-free, and in fact, patients watch a movie or listen to some music or even fall asleep during a hair transplant. There is only a bit of tolerable pain during the anesthesia injection. For those who do not prefer needles, we apply the sedative chemical via high pressured air to the scalp. You will feel absolutely nothing with this option. The whole procedure is explained in our FUE Hair Transplant section where you will find all the information about hair transplant in detail. In a hair transplant, there are two different methods of graft extraction: Strip Harvesting Method and Follicular Unit Extraction (FUE). Since the strip harvesting method leaves a scar, our surgeon extracts the grafts only with Follicular Unit Extraction (FUE) method for better results and no scars at all. The canal opening and implantation process may vary, but all of them can be classified as different methods under FUE. 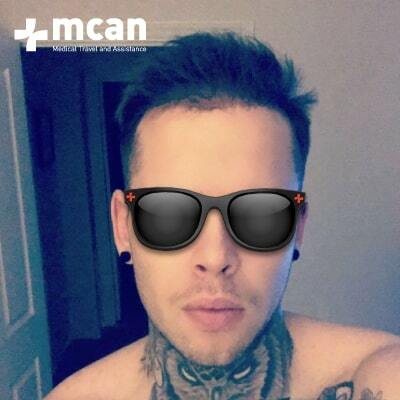 DHI, Percutaneous are different types of hair transplant and MCAN surgeon will decide which suits you best. 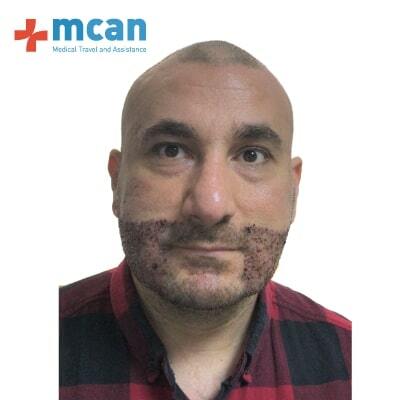 Moustache and Beard, Eyebrow hair transplants are also successfully performed by MCAN Surgeons in our Clinic. Platelet Rich Plasma (PRP Treatment), is applied to every patient at the end of the hair transplant to increase the success rate of the result. Aiming to have the maximum patient satisfaction, we want to be sure that the patients get the most out of our treatments. Even after the operation, we contact each patient regularly as follow-up aftercare to find out if they are satisfied and need further assistance. Although it very rarely happens, the medical team fee for corrective surgeries is always free of charge in case of any kind of need.